Care package from good friends in Australia. Thanks Robbie, Sean and Alyce! 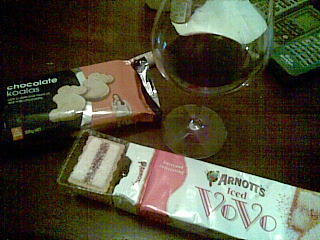 Glad you are enjoying a real Ozzie selection of biscuits with red wine????? Red wine - naturally babe! !